Posing with a hen ringbill taken over the decoys in the background. “Be prepared,” is the motto of the Girl Guides. It is good advice, in my opinion, particularly when I set out on a duck hunting expedition with one or more of my hunting buddies. This morning, I set out with Akber, Omer and Ehtisham for some duck hunting on the Rideau River. I prepared for the hunt the night before, knowing from experience that there is always something waiting to go wrong. I learned the hard way that waiting till the morning of your planned duck hunt to prepare typically ends in frustration when things go wrong or crucial pieces of kit are left behind. Despite my foresight and determination to see that I was prepared well in advance of my departure for the marsh, no amount of preparation (at least in my experience) will stave off all that is waiting to go wrong. This time, however, it took the cake! This entry was posted in Duck hunting, Hunter safety and tagged black ducks, bluebill decoys, boat blind, decoy spread, decoys, duck blind, duck decoys, duck hunt, duck hunters, duck hunting, green-wing teal, mallard, photography, pied-billed grebe, ring neck duck, ringbill, sky busting, training on October 22, 2016 by geoffreyandmika. Nick posing with my Browning BPS on our second duck hunt together. This entry was posted in Duck hunting, Firearms, Guns, Uncategorized and tagged bluebill decoys, boat blind, Browning BPS shotgun, Canada geese, Canada goose, duck call, marsh, Merrickville, Nick Schäfer, Ontario, outboard motor, P.S. Olt, pied-billed grebe, Rideau River, ring neck duck, ringbill, steel shot, wood duck on October 20, 2016 by geoffreyandmika. Nick Schäfer duck hunting on the Tay River on the first day of our hunting holiday. 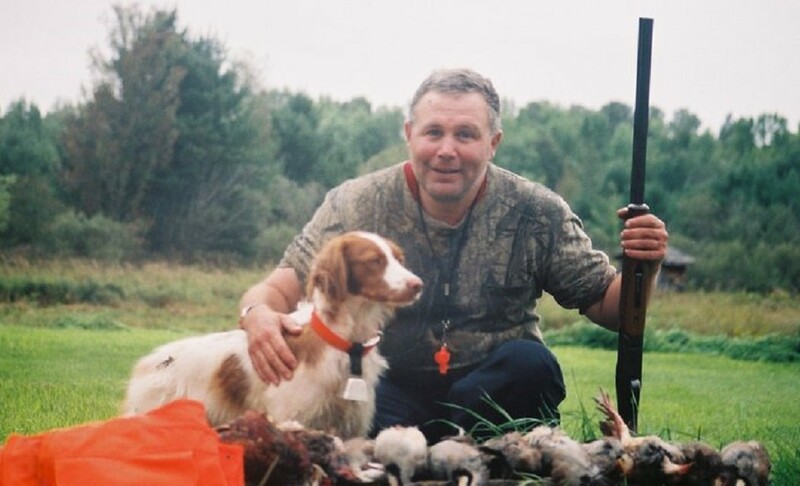 This entry was posted in Brittany (dog), Duck hunting, Firearms, Gun dogs, Guns, Hera, Hunting dogs, Pointing dogs, Shotguns and tagged animals, black ducks, bluebill decoys, Browning BPS shotgun, duck blind, duck decoys, duck hunt, duck hunters, Greater Rideau Lake, hooded merganser, Hunting, Johnboat, mallards, photography, pied-billed grebe, ring neck duck, ringbill, Tay River on October 11, 2016 by geoffreyandmika.